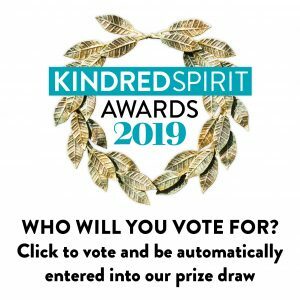 This feature has been extracted from The Sensory Herbal Handbook by The Seed SistAs and was originally published in Kindred Spirit magazine issue 163 (Mar/Apr 2019). The Sensory Herbal Medicine tradition draws on tools and energetic language that have traditionally been used to connect with and understand plants and people. In Sensory Herbalism, the focus is on getting to know plants intimately using our senses and intuition as well as the analytical brain. As well as focusing on plants, Sensory Herbalism is also all about understanding the human body. 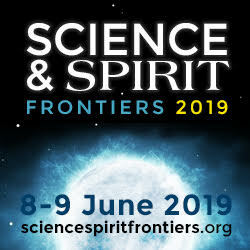 This involves understanding how the elemental forces – wind, fire, earth, water and spirit – pervade all of life and are expressed in varying degrees in plants, in the seasons and in people as holistic organisms. The word rosemary means “dew of the sea”, from the Latin ros, “dew”, and marinus, “sea”. In southern Spain, there are cliffsides stretching for miles covered in aromatic rosemary. It hangs there with its purple-hued flowers, a reflection of the colours of the sea. If you fondle its needle-like leaves, you are greeted with uplifting aromas. Dew collected from any plant in the morning holds a memory of the herb and can make a powerful essence for medicine. Rosemary is a protective, warming, circulatory, brain-power-enhancing, aromatic, digestive plant. The memory-enhancing properties of rosemary, held in the sea dew on its morning leaves and flowers, can be potent medicine indeed. Rosemary has a great variety of associated folk uses and mythology. Its essential oil is said to be one of the ingredients (along with clove, lemon, cinnamon and eucalyptus oils) of the Thieves’ Oil developed by perfumers in 15th-century France to protect themselves as they looted the houses of victims of bubonic plague. 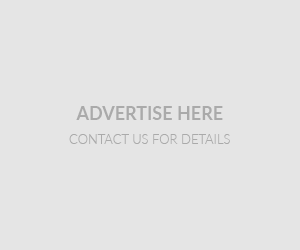 It has been strongly connected to memory and remembrance since ancient times. 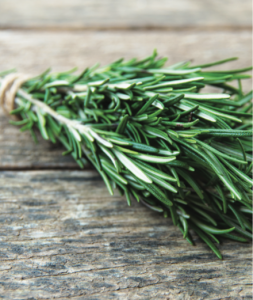 The main historical uses of rosemary have been as a tonic to the brain and as a gently cleansing liver medicine. A garden favourite, rosemary is always on hand to harvest, flavouring roast potatoes with its pungent aroma. It is not just for taste that we add rosemary to oily and fatty dishes though. It is a brilliant digestive herb, with bitter principles, beneficial to our whole digestive system by stimulating the production of bile and aiding the breakdown of fats. It also helps to reduce flatulence by targeting the muscles of the digestive tract. As a herb of the sun with the energy to heat and circulate, rosemary is specifically indicated in depressive states accompanied by general debility and weak circulation. Known as the “tip-of-the-tongue herb”, it has been used since ancient times to improve and strengthen memory. Students in ancient Greece and Rome wore rosemary garlands around their heads while studying, specifically for this quality. The plant brings freshly oxygenated blood to the peripheral arteries in the head. Externally, rosemary has traditionally been used to ease muscular pain, sciatica and neuralgia. An infused oil of rosemary is a component of our own Ache-Ease Balm, as well as of many other liniments used to relieve rheumatism. The wonderful herbalist and holistic veterinary medicine activity Juliette de Baïracli Levy always revered rosemary as one of her two favourite herbs because of rosemary’s wide-ranging applications, revitalising all the systems of the body and protecting against pathogens. During the spring months the evergreen bush rosemary will see a new growth of soft green stems and leaves. The leaves in particular are super active, full of new life and phytonutrients. 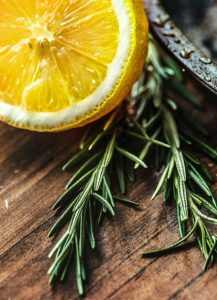 The circulatory action of rosemary impacts on the lymph and will support other lymphatic herbs such as cleavers by working synergistically, strengthening the lymphatic action. 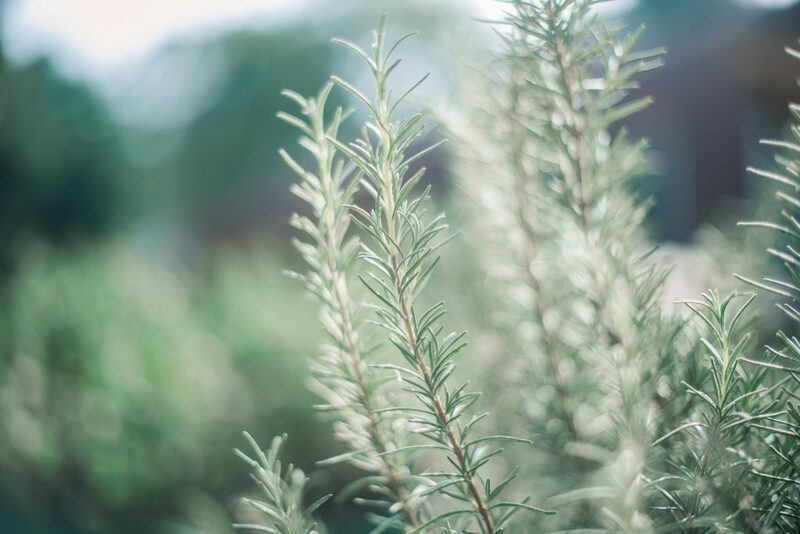 We always include rosemary in spring cleanses and detoxes to support the emotions and mind, keeping people upbeat and determined to stick to the plan of health. Great strength is needed at these times of cleansing and rosemary really helps us to focus. By growing this hardy perennial in a sunny space in the garden you will have a strong friend and nurse for any condition that needs warmth and invigoration. We use rosemary as a protection charm and often place it in bunches around the home. Whenever you feel like a little extra support or protection, rosemary is the friend you need. We grow rosemary outside the front of our houses to make it super accessible for this simple and effective ritual. As you leave the house, simply pick a sprig to wear behind the ear, or in your hair or lapel, to encourage clear thoughts and bring you protection. Try this when going into a new situation, if nervous about public speaking, or for support with social anxiety, when talking to a friend or loved one about an emotional issue, or taking an exam – or just for an extra boost in the morning. A zesty seasoning for your cooking. We always opt for sea salt, as it is rich in iodine, essential for thyroid help. 1. Place the salt, rosemary and lemon zest in a blender and whizz up to a fine consistency. The mix will be slightly damp. 2. Spread onto a baking tray lined with baking parchment to stop any transfer of fats or flavours already on the tray. 3. Place in the oven on as low a heat as it will go with the door open for a couple of hours to dry out. Alternatively, leave it in an airing cupboard. If the mixture is lumpy after drying, blend again until fine. Drinking coffee can lead to your physical body becoming dependent on caffeine to stimulate the release of adrenaline. Rosemary offers similar effects of mental alertness, without the addictive element! Try switching your coffee for a rosemary tea made by placing one small sprig of fresh rosemary in a mug of hot water – watch as it turns a bright green colour – sweetening with a bit of honey. However, as a herb of the sun, rosemary should be approached with caution for long-term use. We would never advise anyone to use one herb as much as many folk do tea and coffee. For a hot temperament or constitution, daily use of rosemary may be too heating. The Seed SistAs, Fiona Heckels and Karen Lawton, are medically trained herbalists, activists and modern plant folklorists. With artist Belle Benfield, they are on a mission to connect people with their local plants and to promote empowerment, autonomy, freedom and diversity in health care. 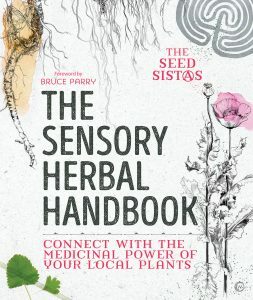 The Sensory Herbal Handbook: Connect with the medicinal power of your local plants (RRP £16.99, Watkins Publishing) is available for pre-order now and goes on sale April 16th. 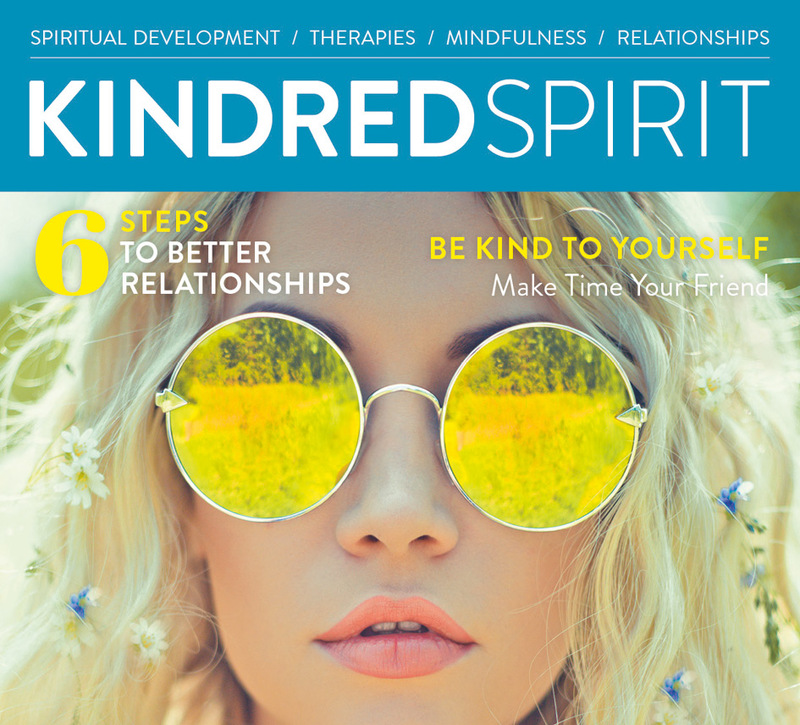 Kindred Spirit Magazine © 2018. All Rights Reserved.